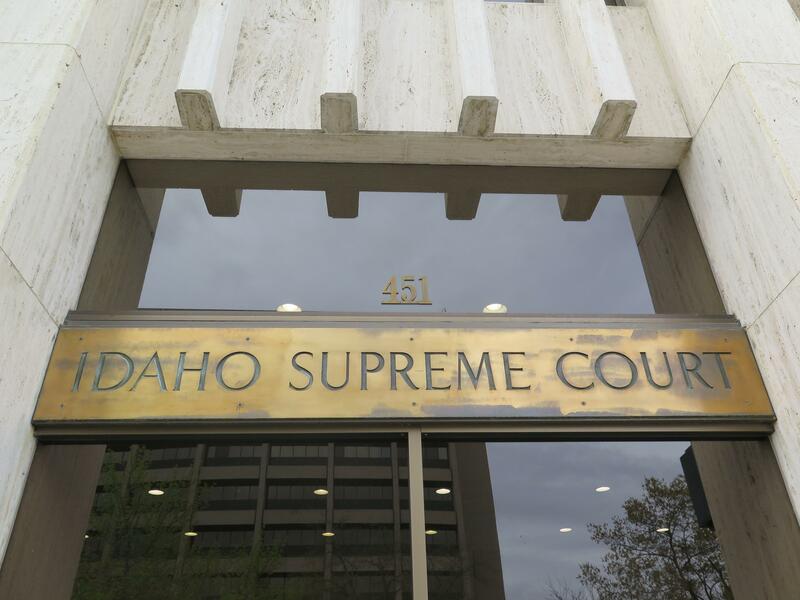 BOISE – The Idaho Supreme Court will consider whether Gov. Butch Otter’s veto stopping the repeal of the state’s grocery tax was legal. But it won’t determine if the repeal itself was legal – at least not yet. The Idaho Supreme Court on Monday limited the issues that the state can address in its upcoming arguments over Otter’s disputed veto of legislation to repeal the state’s 6 percent sales tax on groceries. The court has set oral arguments for June 15 in the case, in which 30 lawmakers are suing, contending that the governor missed a deadline for the veto. When Otter filed arguments in the case, he brought up an additional issue: Whether the bill was even constitutional in the first place. That’s because the Idaho Constitution requires tax bills to originate in the House of Representatives. The grocery tax bill started in the House, but at that point it was a bill to cut state income tax rates. The Senate completely amended the bill, replacing it with the grocery tax repeal and removing all traces of the original bill, but for the bill number. “The Senate’s action resulted in entirely new legislation, which did not originate in the House of Representatives,” the governor’s attorneys, David Hensley and Cally Younger, wrote in legal arguments submitted to the court on Friday. In an order issued Monday afternoon, the court said it would not consider the issue unless it becomes law. After Otter raised the constitutionality issue, the entire Senate leadership, from both parties, filed a petition to intervene in the case solely on that issue. The Senate leaders said they wouldn’t address whether the governor’s veto was valid, but wanted to protect the Senate’s ability to amend House tax bills. In the order, the court said it has granted the Senate leadership’s petition to intervene – but only if the leaders want to address the validity of the veto. Senate Majority Leader Bart Davis, R-Idaho Falls, said they won’t do that. The Senate was united in wanting to protect its ability to amend House tax bills, he said, but is divided on the question of the grocery tax repeal and veto. “If that’s the position of the court, at this point in time, then there’s no reason for us to engage further as petitioners, and we’ll allow the parties to proceed and watch with interest the case,” said Davis, an attorney. The 30 lawmakers who sued include both House and Senate members. Otter said he vetoed the bill because he believed the state couldn’t afford the hit to its general fund if the sales tax on groceries were repealed; once the cut was phased in over two years, the impact was estimated at $79 million a year. Published: May 22, 2017, 3:22 p.m. Updated: May 22, 2017, 11:30 p.m.